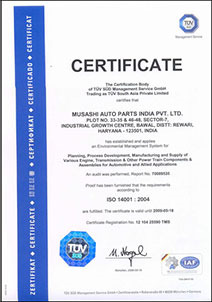 Welcome to Musashi Auto Parts India Pvt. Ltd. 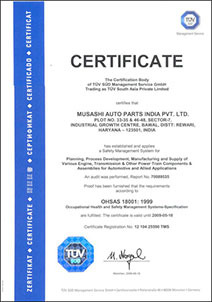 The Certification Body of TUV Management Service that Musashi Auto Parts India Pvt. 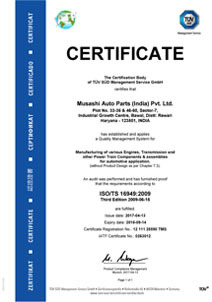 Ltd. has established itself as a Automobile Component manufacturer.